Every time I add a camera to the scene DAZ immediately crashes. This is easily a repeatable bug. I might need to try to add a camera 6 to 7 times until eventually it doesn't crash DAZ. Anyone else having this problem? What version of DAZ Studio, Help > About DAZ Studio? Are you adding a camera to a loaded scene that was previously saved? What Operating System are you using, Mac or PC? I just tried it with Win 4.5.0.114 64 bit with a new scene and a previously saved scene. No problem adding and removing additional cameras. Installed the upgrade to 4.5.1.6 and repeated the test with no issues. Bug is consistant on both default scene or loaded scene. I haven't heard of this problem at all, but i don't have a Mac either. When you are creating the camera, what options are you selecting from the pop-up, and does it crash with all of them? I'm choosing the default position, and it crashes. It does the same with current selected view... however, if I choose the opposite from the previous crash, it seems to remedy the problem. For example, if it crashed when I chose the default view, then reopened it and chose current selected view, it doesn't crash. Very weird behaviour, and I haven't come across this before. The only thing I can suggest is to file a bug report, and perhaps try the latest version, 4.5.1.6. It may work for you? Im having the same issue, running DS 4.5.1.6 Pro 32bit and/or 64bit in OSX 10.6.8. it crashes every time i load a camera in either the default settings or applying to perspective view. seems to be a mac problem. Can you provide the last few lines from the DS log file (if it has anything about the camera...it should, if there is a problem loading a camera...if it can put it in before the crash happens). I have got the same problem. Everytime when I add a camera Daz Studio crashs. I use the Daz Studio 4.5.0.114 Pro Edition on a Mac. The Mac have got a 2.3 GHz Intel Core i5 with 8 GB 1333 MHz DDR3. 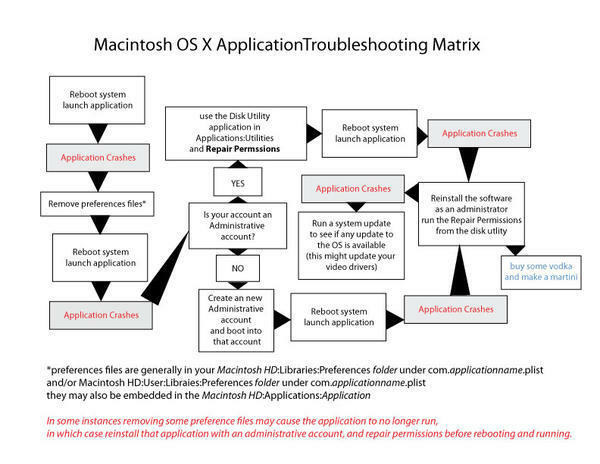 The operating system is Mac OS X Lion 10.7.5. Perhaps the graficcard is to bad, because it is only a Intel HD Graphics 3000 512 MB. If it helps to analyse the problem, I can post the report after crashing. Sorry if my english is not perfect, I am no native speaker. Most of the time, but not all, DAZ crashes when I try to add a camera using the default settings. I boot the app and open the Lights & Camera tab. Under Editor, I select Add a Camera, and I Accept "Apply Default Settings," at which point it crashes. I use these same steps every time to reproduce the bug but sometimes the app crashes and sometimes it doesn't. I'm using Version 4.5.1.6 Pro Edition (64 bit) on a MacBook Air with 2 GHz Intel Core i7, 8 GB, 1600 MHz, DDR3, Intel HD Graphics 4000 512 MB, OS X 10.8.2. Could not activate DAZ Decimator evaluation. Plug-in disabled. have nothing selected when you add the camera and let us know if that works. if it does you can thank Sean for figuring that out. Hi StratDragon, I'm afraid that didn't help. After booting the app, I click the background to deselect the figure, then I add a camera, and sometimes the app crashes and sometimes not. Same thing when I deselect the figure and select it again before adding a camera. The log file had the same warnings as above. But thank you, Sean, for giving it a shot. In the content pane is anything selected at all when you did this? just clicking on an empty area my not necessary deselect an element of the scene. That's correct. When the app boots, the Genesis figure is selected by default. I can see that's the case with the bounding box and in the Scene tab where the Text "Genesis" is highlighted in yellow. When I click on the background, the text turns white and there is no bounding box. Since nothing is selected, the Smart Content tab shows all the possible things that can be added since it's not filtering based on a selection. Nothing else exists in the scene. There is only a Genesis figure and it is not selected. most importantly, reboot if DS crashed at any point. Just closing and opening the app may not clear up the issue. when you reboot hold down CMD+OPTION+p+r and the system will reboot again, do this twice, then open DS after the 2nd or 3rd reboot. Reset the PRAM but it had no effect on the problem. Reset the PRAM a second time and it again had no effect on the problem. Okay, I drew this up for anything mac but it's written with Studio in mind. Thanks very much for the flowchart! I've dutifully run from one end to the other and found that nothing changed (I deleted preferences, repaired permissions, my account is an admin, rebooted between steps, etc.). And just to be clear, I'm not running 10.7. I'm running 10.8.2. So then, looks like it's time for the martini (since I already have the vodka). This is from the crash report in the Mac Console (User Diagnostic Reports). The problem is DAZStudio is accessing an invalid address. Not likely something that can be fixed by the user. I'm reading 10.8.2 may have broken something with the nVidia drivers. Did this happen in 10.8.1 do you know? I'm afraid I don't. I started using DAZ after installing 10.8.2. I'll check on the nVidia drivers. 10.8.2 is the most current version of the Mac OS for any Intel equipt mac made after 2008-2009 or so. If you bought your system in the last few months you may no be able to use anything but 10.8.2 until 10.8.3 comes out. Developers just got the 10.8.3. beta a few days ago so I'm thinking before then end of the year Apple will make this public. If your computer was purchased and had something less than 10.8.2 thats the baseline of what you can downgrade to, but (a) will a downgrade fix the problem? (b) will a downgrade break something else? (c) can you live with this problem now and is there another workaround? and (d) do you really want to downgrade even if it does fix the problem? Can anyone establish if this behavior happens outside of 10.8.2? Did you try making a new account with administrative rights? what if you had an empty scene with just the camera, save that scene and merge the scene when you need a camera? It sound like a PITA but it might be better than crashing. Had this exact same issue on a Mac and I made sure that nothing was selected in the window, went up to the Created drop down at the top created a camera that way, renamed it My Camera 1 , 2 , 3 what ever number .. then said yes to both using the viewport as the set up not, seems to work every time. Seems like if you bypass the lights and camera step and just use the drop down create at the top , fixes the issues on my Mac running the newest operating system . Hope this helps ..
Hi, I am new to DAZ and just trying it out. Just to let you know, on my old system, using DAZ 4.5 32bit on an IMac using MAC OSX 10.5, DAZ also crashes when I load a camera. I'll see if I can use some of the workarounds offered on the board, or I will try to find one myself. I'll try to keep you posted if i figure something out. Hi again, tried Great Scott's approach and it works. That is, go to the top menu bar and click on Create and from the drop down menu, choose new camera. For me adding a camera, even with nothing in the scene, would crash the program, but using the top menu bar (above the interface window) I can put in as many cameras as I want and it does not crash, so it seems like it is a bug in the interface. Thanx alexewen now I also can on with my work, hope they soon fix this. Thanks Scott. This solved my problem as well. Daz needs to fix this bug. and just a few that have posted this issue which doesn't seem to set a president that DAZ STudio is at fault. If it is then I will hold my hands up but I can't find any Bug reports on this yet. 10.8.3 is out but other than Apple claiming stability fixes I don't see the graphic drivers have changed. For all you windows users out there new video drivers for Mac are strictly direct to apple download only with a few exceptions will you ever find Mac drivers on the manufactures website.